Arizona dispensaries are quickly becoming one of the largest medical marijuana suppliers in the United States, thanks to the Phoenix Arizona Medical Marijuana Act that legalized the herb for medicinal purposes in the year 2011. Here are six striking statistics that exhibit the potential of the medical marijuana industry and further describe why it should be commonplace in the entire country, if not the world.1) More than ten tons of marijuana sold annually for medicinal purposes.Yep, that’s right. Arizona has seen more than ten tons of Phoenix medical marijuana go into the hands of consumers with valid medical marijuana cards in the year 2014, and this number is expected to continue rising in the future. To put that into perspective, ten tons corresponds to 20,000 pounds of weed, which is the equivalence of approximately five full-sized cars. This originated from the 1.4 million medical marijuana transactions that took place in 2014. As more states become agreeable to the idea of medicinal, or potentially recreational, uses of marijuana, we expect to see this number skyrocket in the years to come. 2) 89,405 medical marijuana patients in the state of Arizona. 3) Approximately 70% of medical marijuana consumers in Arizona are males. This is a surprising fun fact (or should I say, fun statistic) regarding the distribution of medical marijuana cards in the state of Arizona. While only 30% of medical marijuana card holders in the state are females, 70% are males. It’s not entirely understood why this statistic is as it is; perhaps males are typically more eligible for medical marijuana cards than females for some odd reason. But, regardless, polls indicate that 72% of women in the state support medicinal marijuana and 74% of males support its legalization. It is hypothesized that the distribution of men and women with a medical marijuana card will even itself out in the years to come. 4) More than $40,000,000 in revenue from medicinal marijuana in the year 2013. Arizona saw a surge of pot purchases in the year 2013, earning a total revenue of more than 40 million dollars. With an average purchase of $50 per eighth of marijuana (corresponding to one-eighth of an ounce, or 3.5 grams), plus the purchase of cannabis infused “treats” (such as edibles), the tax income from this booming business will definitely help keep the state afloat and promote better institutions and state constructions. 5) 118 minors approved in the state of Arizona for medicinal marijuana treatment (2014). We tend to think of adults and the elderly obtaining marijuana for their illnesses when it comes to medicinal marijuana, but some children have been obtaining similar treatments for illnesses that cause chronic pain, such as cancer and genetic disabilities. Many people think of this as immoral and wrong, simply based on the fact that adults and caregivers are “legally supplying drugs to minors.” But if you actually think logically about this, it is no different than supplying a child with painkillers to ease their suffering which, based on decades of research and case studies, is significantly more harmful than marijuana. What most people don’t realize is that marijuana actually has little to no negatively-impacting effects on one’s health or mental well-being, a topic that has been researched extensively for more than 40 years. Even if marijuana does carry some risk factor on health, the pros of its medicinal use easily outweigh the cons. 6) Just over 70% of medical marijuana applicants in Arizona were approved to use the herb for “severe and chronic pain”. Despite the innumerable amount of illnesses treated via the use of marijuana, the majority of cardholders are being treated for pain rather than mental or familial disabilities. This just goes to show the power of marijuana in terms of treating pain of all sorts, from back pain to headaches and so on. The mechanism by which the herb takes away pain is not 100% understood, but it is known that the high produced by marijuana has the ability to take an individual’s mind off of the pain they are experiencing by causing them to think in a different manner and perceive sensations in a way that is not observed in an individual who is not utilizing the herb. This treatment is also effective for individuals with PTSD, as the herb takes their mind off of the devastating thought patterns that they frequently experience. 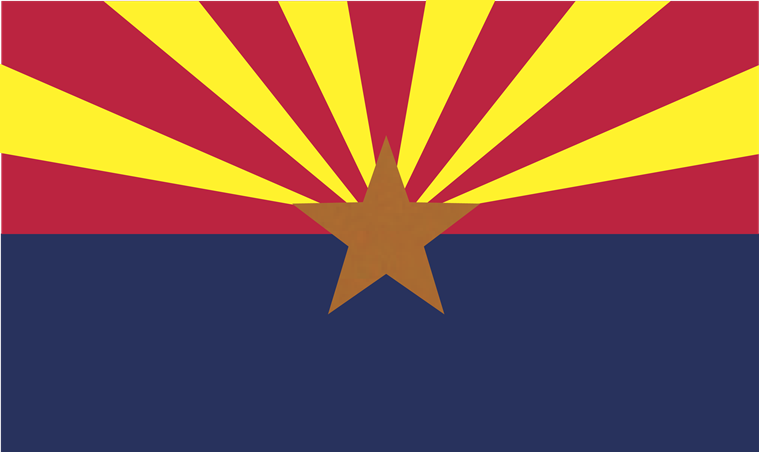 It is apparent that the use of medical marijuana and its legalization are displaying dramatic benefits on both the well-being of the inhabitants of Arizona, as well as the local economy. Big cities such as Phoenix are experiencing an economic boom, similar to that of Denver, Colorado, that is promoting projects in the city by providing tax dollars from medical marijuana patients who are consuming the herb. People tend to look at the worst aspects of marijuana, such as the lessons we learned as kids. You know what I’m talking about: “Marijuana is the devil’s grass,” “marijuana leads to harder drugs,” “marijuana will make you stupid.” These claims are not, in any way, grounded in logic or evidence. As we become more informed about the properties of cannabis, as well as its active ingredients and medicinal benefits, we will understand why it is such a powerful medicinal commodity and why its illegality is slowly being revoked.